1957 Chrysler 300 Convertible by Time Machine Resin. This kit includes the one piece convertible body, convertible boot with doglegs and the up top. 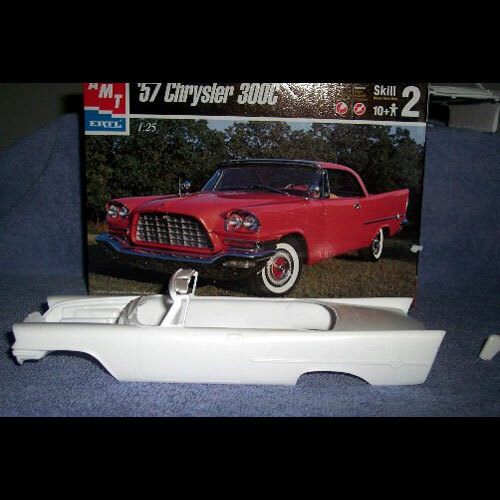 Use the AMT / ETRL 1957 Chrysler Hardtop kit to finish.